The much talked about Justice Mudgal committee report had indicated the names of 13 people earlier this year including the then BCCI president Mr N. Srinivasan.The honourable Supreme Court on Monday revealed the excerpts of Justice Mukul Mudgal panel’s inquiry report which run into 35 odd pages. 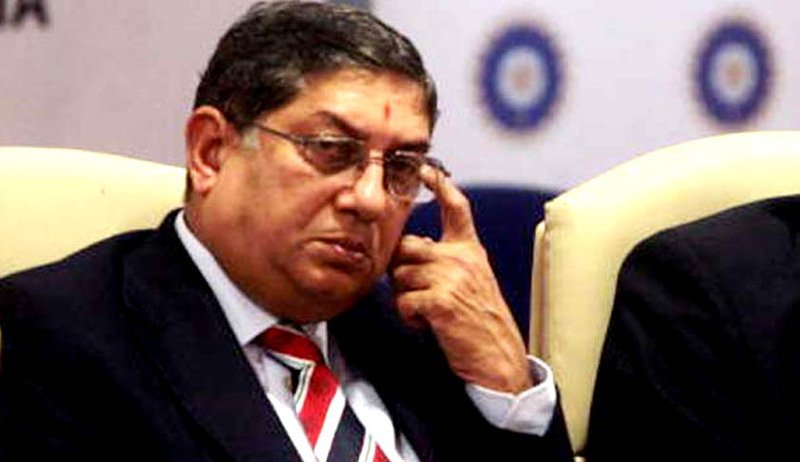 Consequently, Mr Srinivasan who is referred to as individual 13 in the report is absolved of any kind of suspicion of his active role in the IPL betting and spot-fixing wrangle. However, the report does not deny of him being aware of the IPL Code of Conduct violations. Speculations as to re-electing him as the BCCI president run wild now. Reportedly, he had to step down post the initiation of investigation. Read Live Law story here. In the aftermath of Mr Srinivasan’s coming out clean,the other three non-playing members who are being interrogated and were part of the probe, namely, Rajasthan Royals co-owner Raj Kundra, Sundar Raman and Chennai Super Kings team owner Gurunath Meiyappan (Srinivasan’s son-in-law) are supposed to attendthe court hearing on November 24.It is to be noted that the Mudgal panel had already submittedits final report to the special Supreme Court Bench comprisingJustices T.S. Thakur and F.M. Kalifullahon November 3 much after its appointment in the year 2013.The report indicts Kundra of being in contact with bookies whereas Gurunath is formally accused of passing on the confidential team information. Read the chain of past developments here.